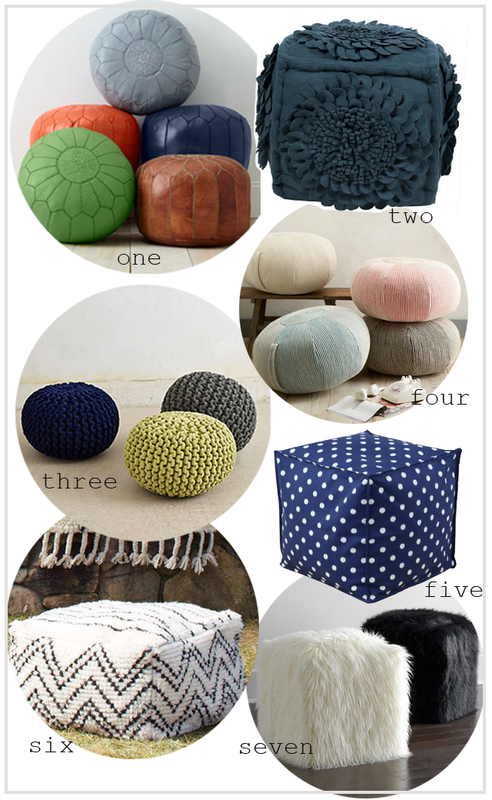 today I wanted to talk about the versatile pouf. is it a chair, something for the kids play/sit on, an ottoman, just for looks, or a foot stool? it is all of these things! these cute little poufs come in so many different styles, colors, fabrics, sizes, patterns, etc. they are sure to fit into every home style. with so many different ways to be used + did I mention they are super k i d f r i e n d l y I think everyone could use one or a few.